We are committed to tailoring business solutions and delivering service excellence that exceed customers’ expectations. We treat all people with respect, listen to, help, and encourage each other, fostering a culture of trust. We are inclusive and work together to leverage each other’s diverse skill sets, understanding that through teamwork, we accomplish more than we can individually. We are honest in all matters, choosing what is right above all else. We are committed to the well-being of the communities we serve, and contribute to the cause through our individual and company resources. 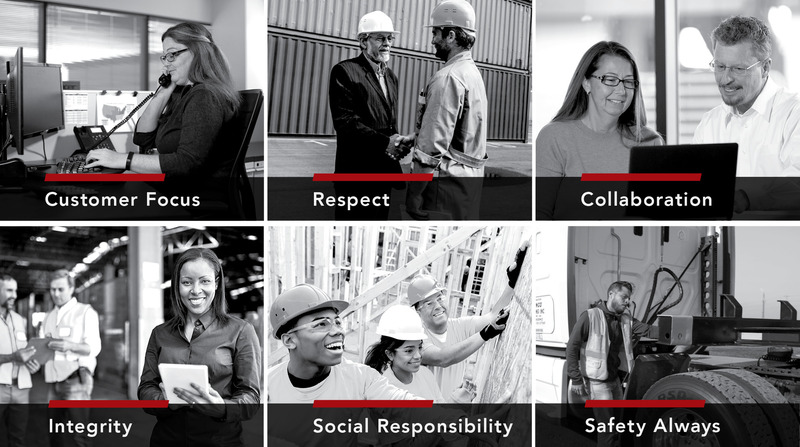 We share a personal and professional commitment to protecting the safety and health of our employees, and ensuring that our equipment meets the highest safety standards.